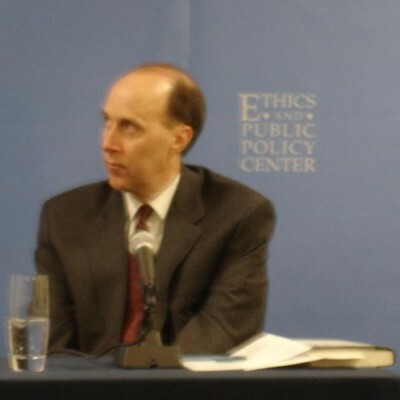 Ed Whelan, former Scalia law clerk, Bush Justice Department appointee, and, most amusingly, "President of the Ethics and Public Policy Center," got soooo mad at some blogger who was criticizing him that he published the guy's real name and job. Whelan, a serious and respected legal mind, has been on a tear against Sonia Sotomayor, because at the end of the day, he is just a partisan hack who blogs for the National Review. So this blogger named publius approvingly linked to some other blogs that criticized a dumb argument Whelan made, and then publius called Whelan "a smart guy with outstanding legal credentials" who "enjoys playing the role of know-nothing demagogue." 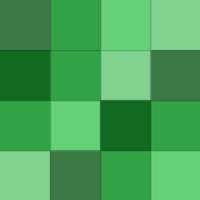 Beyond the pale! Whelan's thoughtful response to that unconscionably vile rhetoric was to respond with a post outing publius as John Blevins from the South Texas College of Law. Publius had been blogging for years under the pseudonym in order to protect his job (he is pre-tenure) and so as not to upset the more conservative members of his family, but when you are mean to Ed Whelan, you pay the price, Blevins. 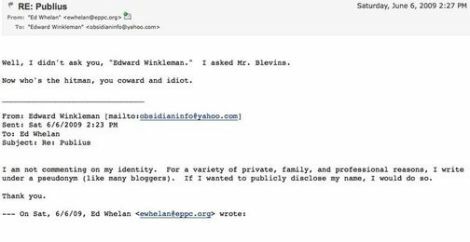 Because Whelan is a very mature and reasonable person, as his emails to Blevins demonstrate.